Its name in Italian means ‘plaything’ but anyone who has come within touching distance of a Giocattolo will attest that this Alfa-based super coupe is anything but a toy. 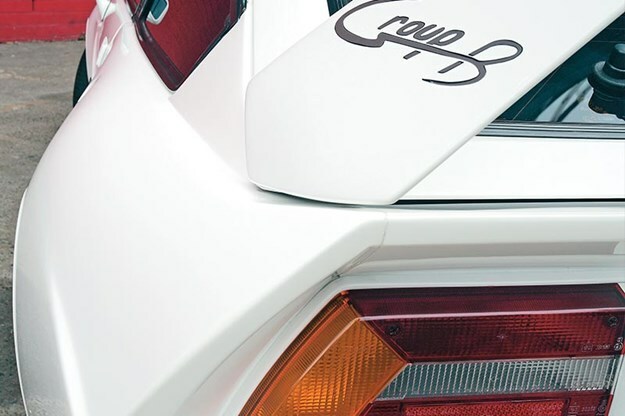 The plan to produce a mid-engined, Australian-made supercar was hatched during 1986 by Paul Halstead and ex-McLaren designer Barry Lock. Halstead at the time owned the Toy Shop prestige vehicle dealership in North Sydney and a few years earlier had brokered an arrangement with De Tomaso for the supply of locally-made 5.8-litre Ford V8s. The Giocattolo concept involved purchasing brand new Alfa Romeo Veloce Sprint coupes and installing mid-mounted Alfa V6 engines. 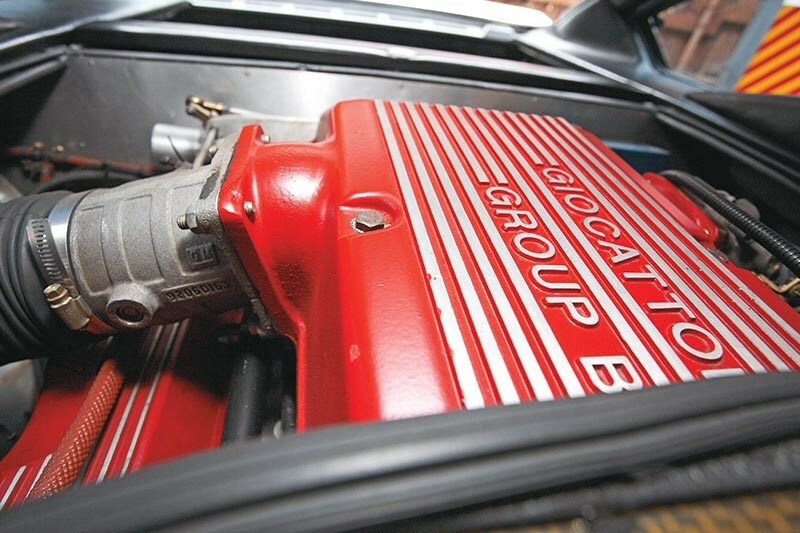 Within a few months of a prototype being completed, the idea of using an Alfa engine was canned – due to a major degree to the cost and difficulty of dealing with skeptical Italians. Plan B involved modifying the design to accommodate a fuel-injected 5.0-litre Holden V8 that was scheduled for use in HSV Commodores. 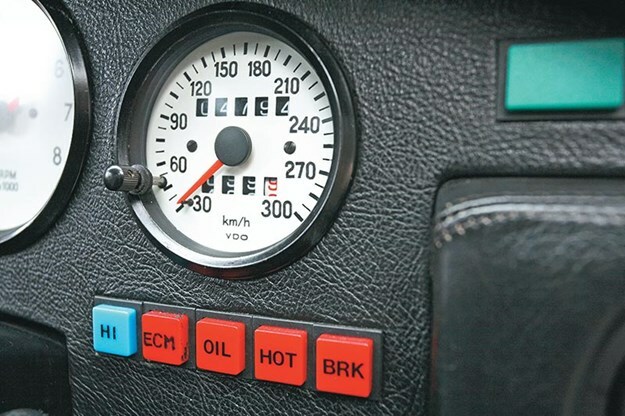 In prototype V6 form, the car shovelled its 115kW through a five-speed ZF transmission of the same type used by the substantially more powerful BMW M1. 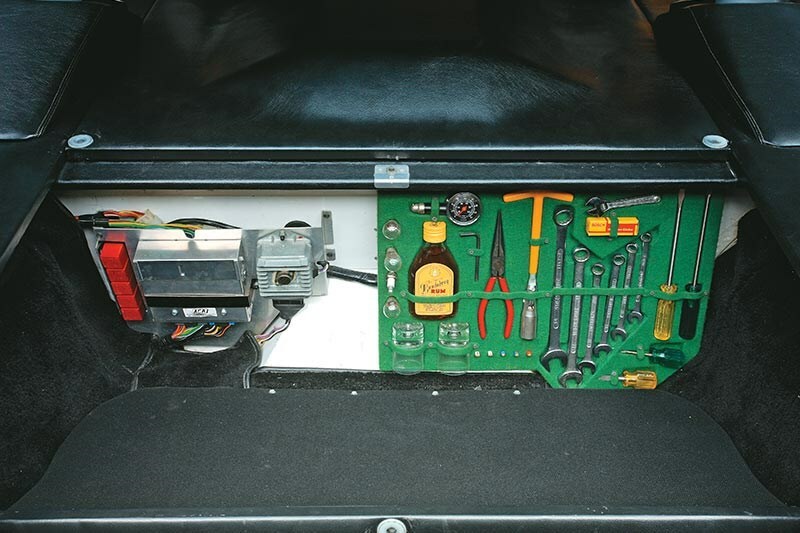 The transaxle fitted neatly under the existing Alfa floor pan, ensuring the Alfa’s minimal luggage space wasn’t further compromised, and it was easily able to handle the torque of a V8. Fortunately for Halstead and the project, the Holden engine slotted into the space allotted to the V6 with just 15mm to spare. Obviously, the task of converting a cheerful front-wheel drive, four-cylinder to a rear-wheel driven behemoth demanded substantial re-engineering. Here the expertise of Barry Lock came to the fore. 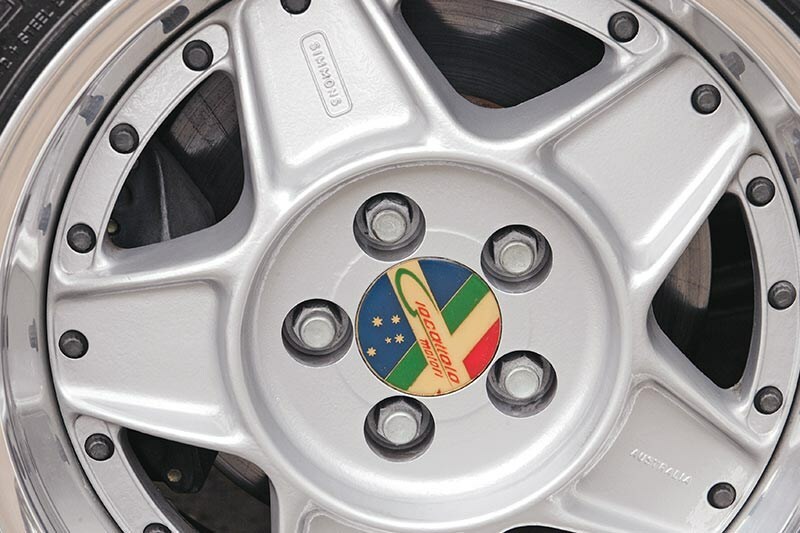 Replacing the original rear axle was a double wishbone, independent layout carrying Alfa Romeo disc brakes and mounted to an alloy transmission cage. 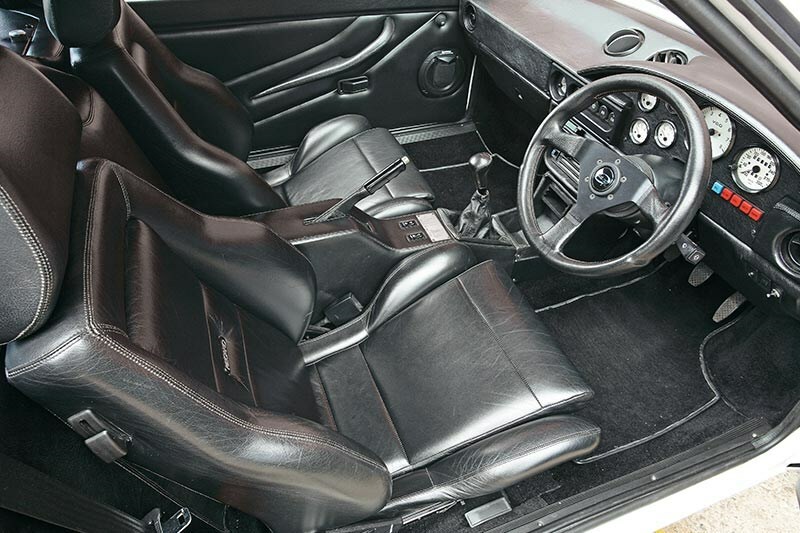 Sitting above the substantially-strengthened floorpan was a beautifully-made Kevlar composite bulkhead that separated engine and occupants. Its equally significant function was to generate levels of torsional strength well beyond those normally found in road-going vehicles. Holden’s support for the project was doubtless a factor in securing financial support from Queensland’s Industry Development Commission (QIDC). In conjunction with the Kilcoy Holdings pastoral company, QIDC shouldered 49 percent of the burden that would see Halstead’s dream progress from prototype stage to (potentially) the export markets of the world. 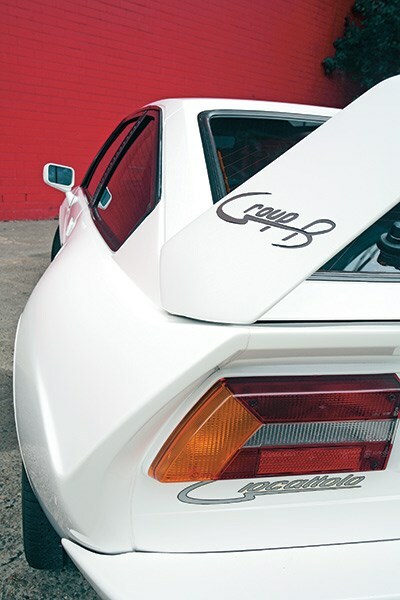 Giocattolo had in its sights the likes of Porsche’s 944 Turbo, the Lotus Esprit and even used examples of the Lamborghinis with which Halstead had been closely associated before his flirtation with De Tomaso. At this point the dream and reality took decidedly divergent courses. Priced at $50,000 and with three litres of Alfa engine thrumming away in the back, the concept might well have been successful – especially during the era of excess that preceded the 1987 Stock Market ‘crash’. However, by 1988 when V8-powered cars actually began leaving the company’s Caloundra factory on Queensland’s Sunshine Coast the price had soared to almost $90,000 and the queue of potential owners had thinned considerably. 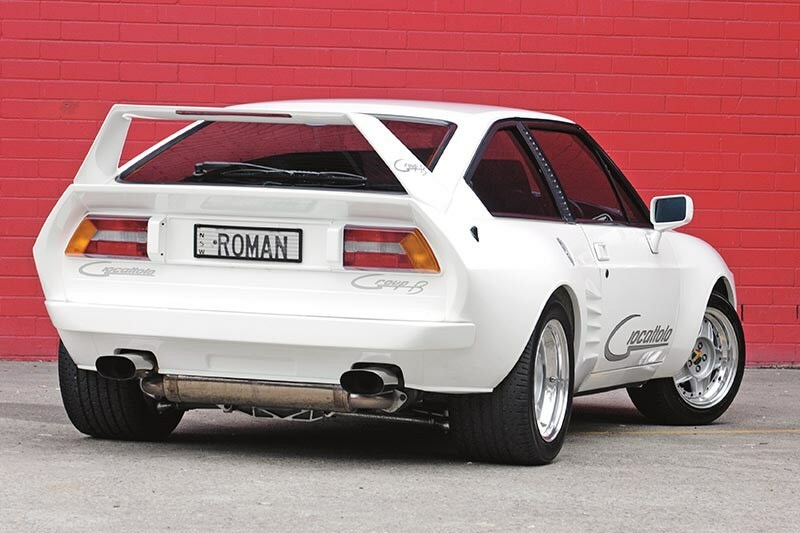 Despite huge rear flares, an F40-sized wing and all-new fibreglass front panels, the car still looked like an Alfa Romeo. Worse than that, it looked like an Alfa Romeo that had escaped the Top 50 corral at Summernats. At a time when anyone with $90,000 to spend on a new car was invariably paying for it with somebody else’s money, the Giocattolo was also not going to be the easiest thing to finance. Even if the intending buyer managed to prove that it was indeed a real car, absence of any resale data upon which to base a residual value was guaranteed to frighten even the more gung-ho of credit providers. Among many sidebars to the twisted tale of Giocattolo was the decoration of one car with flashing lights and signage as an evaluation vehicle for the Queensland Police. More peculiar still were some unusual additions to the already comprehensive tool kit – namely a flask of Bundaberg Rum and two glasses. They presumably were intended to underscore the cars’ northern origins and soothe the angst of an owner left languishing by a breakdown. What, however, if the little G’s prodigious performance had overwhelmed its driver’s ability and deposited both in the roadside shrubbery? Solace via the toolkit’s liquid contents could prove embarrassing should The Plod arrive and suggest administration of a roadside breath analysis. 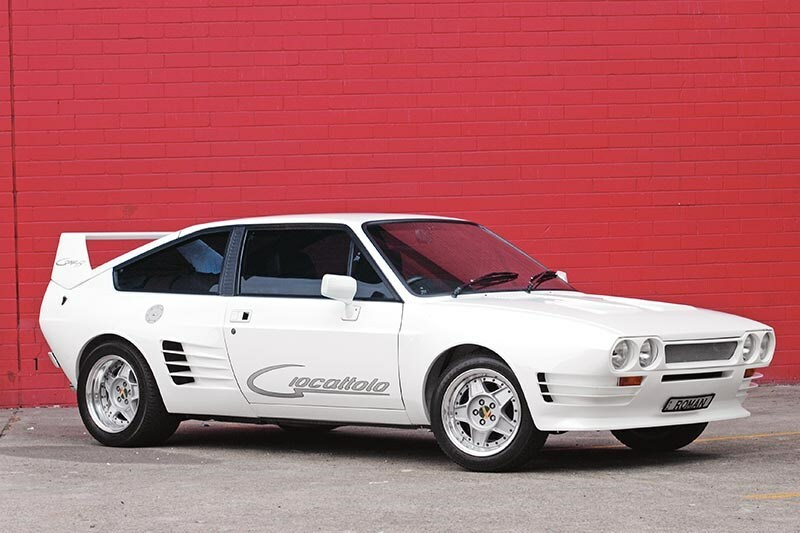 Halstead’s costly venture was not the first attempt to build a ‘world class Australian supercar’ but it will probably be the last. By 1989 when the Giocattolo had schlepped off to oblivion, its legacy comprised 15 completed cars and millions in losses plus a welter of writs and acrimony. Bob Roman’s car was the eighth example produced and among the first couple of Queensland-built cars. His involvement with the Giocattolo began when Paul Halstead – a long-time friend – contracted Roman’s Autotek group to provide items of interior trim including the Recaro seats and Momo steering wheel. Roman had a car on order when the production ceased but this one had already been delivered to a friend who for years after would visit the Autotek headquarters and "tease" Bob with it. "I took it in good humour but there was always the desire to own that car, so one day when he asked if I wanted to take it for a drive I locked it inside our photo studio and said I wasn’t giving it back. I even drove him home in my car and kept the Giocattolo but was still quite surprised when he turned up the next morning asking if I had the money to give him for the car." That was eight years ago and in the time since then the car has been regularly photographed and trotted out for the odd special event but travelled fewer than 1000km. 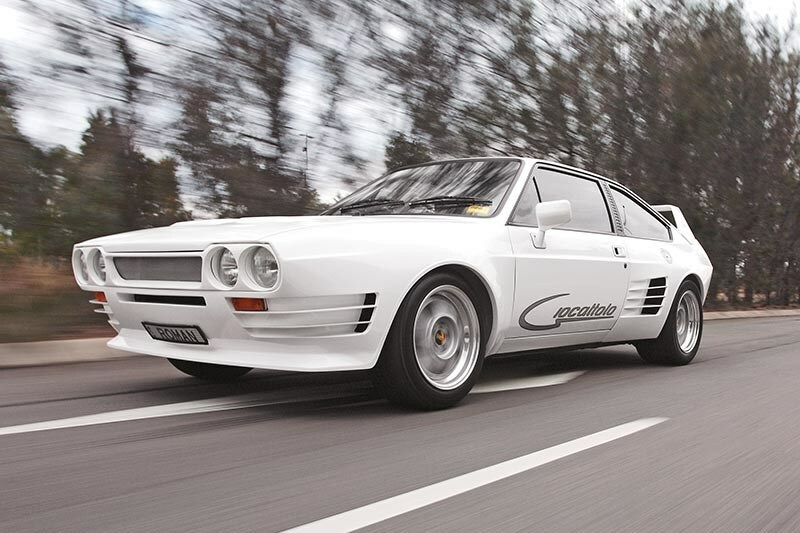 Following a $17,000 rework some years back by the Brisbane-based Brock Shop, the engine develops 280kW and the car is capable of even greater mayhem than the 220kW originals. "It’s not the kind of car you would drive to work every day," Bob Roman intimated. "At least not unless you were running very late." Great to drive, but what's it like to own?